Chicago haze-rockers Smith Westerns have a pretty stellar sound. It seems like this sort of washed-out indie rock is everywhere these days, but Smith Westerns are head-and-shoulders above their peers. They obviously spend some time crafting their songs while their counterparts think it's fine hiding behind walls and walls of reverb. 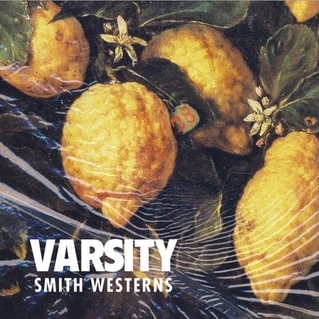 "Varsity" is killer, but if you haven't heard of them, you definitely need to check out "Weekend" too.